Celebrate 2012 Chinese New Year!!!! Joyce Chen opened her first restaurant in Cambridge, Massachusetts in 1958. She found that the selection and quality of Chinese cookware in America didn't live up to her high standards… so she developed her own. Today, Joyce Chen Products sources from all over the Pacific Rim to bring the best of Asia to you. These Japanese Tetsubin Cast Iron Teapots are hand cast and finished with a porcelain enamel interior and comes with a replaceable stainless steel mesh infuser. 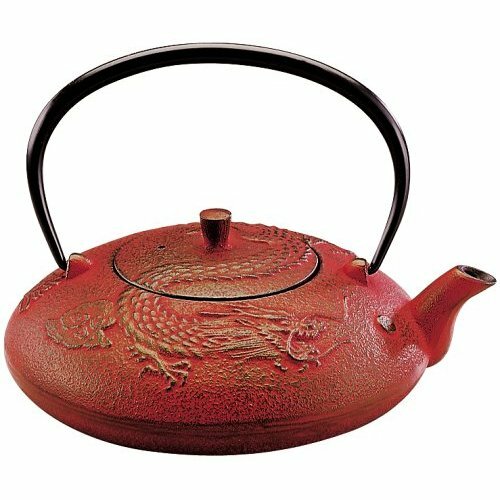 Safe for the stove top, but beautiful enough to use as a decor piece, the Year of the Dragon Tetsubin features a deep red finish and a stylized dragon in relief. Click the button below to add the Joyce Chen Year Of The Dragon Tetsubi, Red to your wish list.